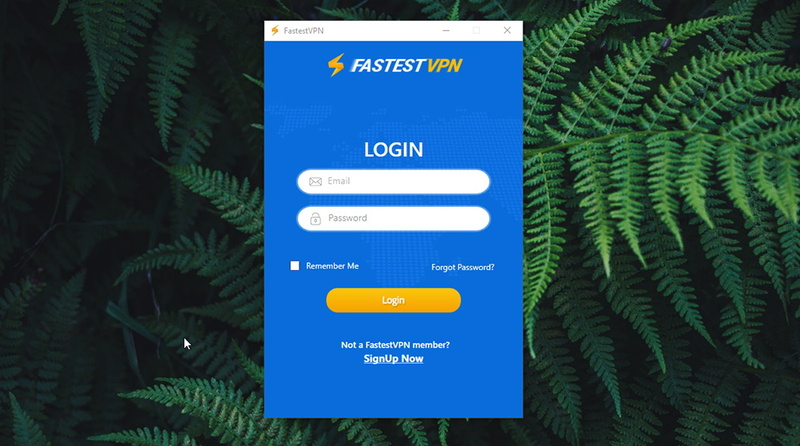 FastestVPN Review – Intriguing VPN Service Plagued By Rookie Mistakes! 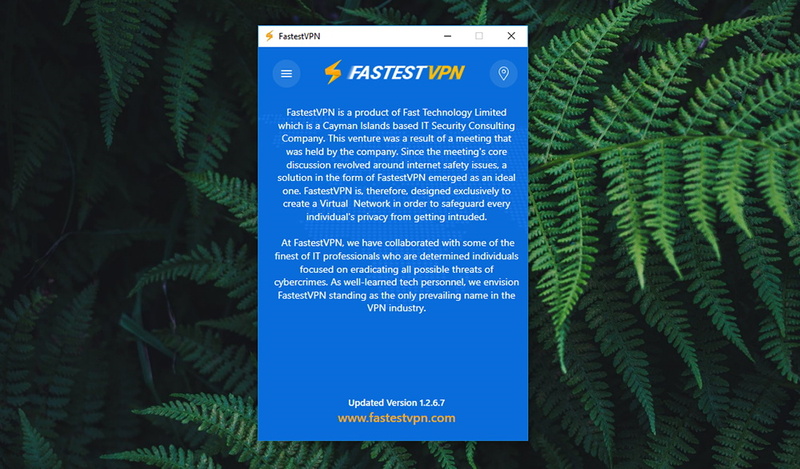 FastestVPN Review – Intriguing VPN Service Plagued By Rookie Mistakes! These days, you can find a VPN service for just about any purpose. While some are focused on unblocking popular streaming websites, others set online security as their primary goal. And of course, almost all of them promise to bring incredible speeds, without any throttling. In many cases, this isn’t what you can expect in practice – which is something you can only know after reading a hands-on review. 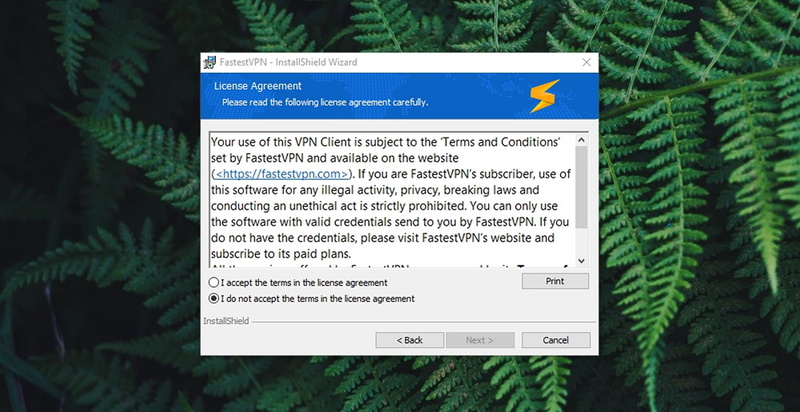 FastestVPN has entered the VPN market with numerous promises. Among those, perhaps the most prominent one is the promise of bringing the ‘speediest VPN connection’. This is something that has immediately triggered our attention, as throttling is often the weakest aspect of any VPN. So, could FastestVPN be the Holy Grail of VPN services? Well, let’s find out. Welcome to our review of FastestVPN! In case you already know how we review VPNs, you know that we bring on-point information right off the bat. We want to help you compare VPN solutions with ease, which is where the following table comes in handy. Here are some basic yet highly important facts about FastestVPN. Windows, MacOS, Android, iOS, Linux, Routers. The following table is based on the results we got after testing this VPN’s website unblocking abilities. As you can see, we’ve tested FastestVPN with four of the world’s most popular media streaming services. And with respect to Kodi users, we’ve tested this VPN with various Kodi addons. The very last table in this segment is about our final impressions. As such, you can use it if you don’t plan to read this entire review. 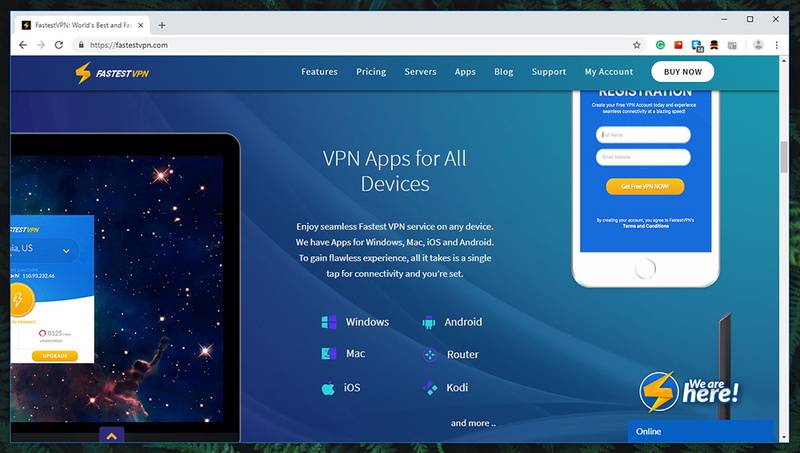 However, if you find FastestVPN to be aligned with your needs, we strongly recommend you to carefully read this entire article, as we gave our best to test the VPN hands-on and in-depth. A basic VPN solution; No data leaks; Doesn’t collect personal data; Blocks advertisements and malware; Fast speeds; Unblocks some websites. Can’t unblock Netflix US; Overly small server network; Semi-helpful customer support. 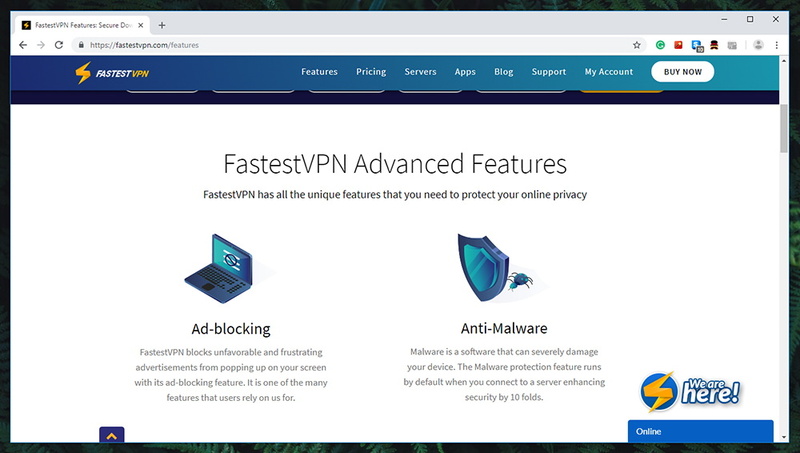 We recommend FastestVPN to those with basic needs – who want to anonymize their traffic and simply browse the Web in a more secure way. Advanced users with more complex needs will need to look elsewhere. With the formalities behind us, we can dive deep into everything that FastestVPN has to offer. So, keep on reading and you’ll find our full review of this interesting VPN solution. 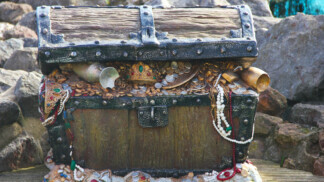 Finally, we are ready to take a deep dive into finding everything that this VPN offers. We will start by researching its background and reputation, and then we’ll take you through the entire app itself. So, let’s get started. Coming from the Cayman Islands, FastestVPN promises not to store any of your personal data. Plus, it comes with no previous data leaks. Our Score: 10/10. Just like in every VPN review that we publish, we’ll start by taking a look at FastestVPN’s background. This will reveal important information about whether you should trust this VPN, in the first place. 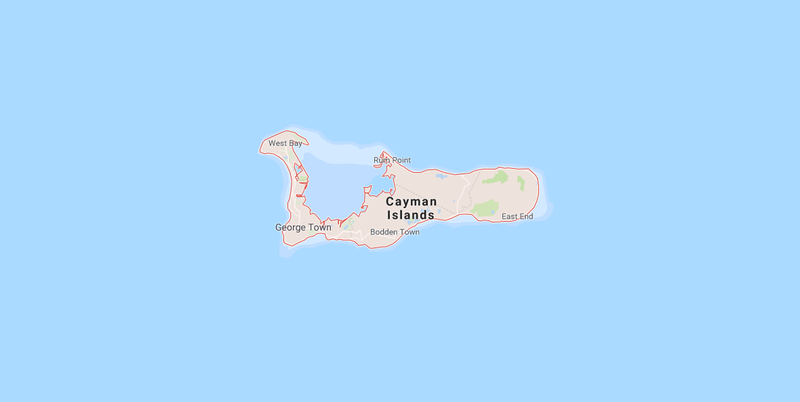 This VPN proudly states that it comes from the Cayman Islands. Known as one of the most attractive vacation spots on the planet, the Cayman Islands also provide fertile ground for privacy-related businesses, and here’s why. First of all, you should know that this an autonomous territory that is associated with the British monarchy. However, the laws from the UK don’t apply here as the Caymans are free to pass their own legislation. However, the new Data Protection Law will commence on September 30, 2019. Still, there are laws protecting your personal information even now – and all Web-related businesses need to adhere to those laws. FastestVPN says that it doesn’t collect your personal information, and we have no reason not to believe this company. After all, the Cayman Islands support this kind of data protection. Later on in the article, we’re going to test FastestVPN for data leaks. However, in this segment, we take a look at past data breaches that might have exposed user data on a larger scale. You will be happy to know that even though there isn’t plenty of information about this provider on the Web, they didn’t have any data leaks in the past. This seems to be a fairly small VPN service (in terms of its user base), which gives us hope that they truly care about every individual user. In this aspect, we give FastestVPN the highest score. FastestVPN offers a nice range of native apps. There are also freshly released Web browser extensions as well. Our Score: 7/10. Now, it’s time to take a look at the list of supported devices. 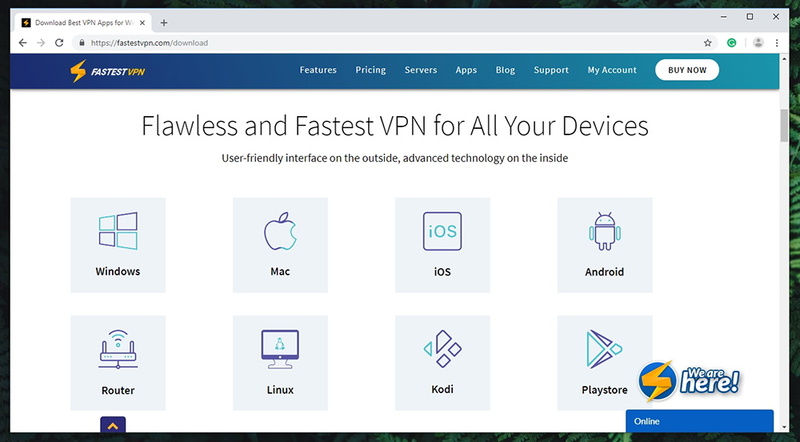 Top-rated VPNs bring native apps for all popular (and less popular) platforms, allowing you to easily install and use them. Here’s how FastestVPN ranks. A range of DD-WRT and Tomato routers. Android Boxes, Amazon Fire OS. 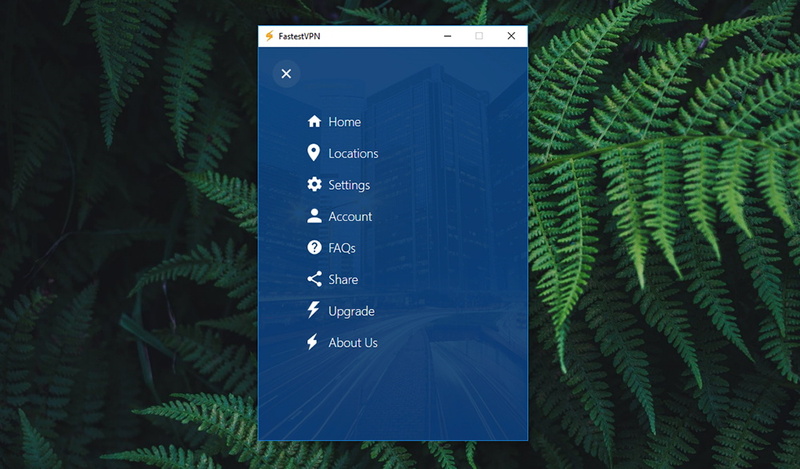 In terms of desktop platforms, you can count on Windows and MacOS with FastestVPN offering native apps. And to keep yourself protected on the go, you can use this VPN’s Android and iOS apps. 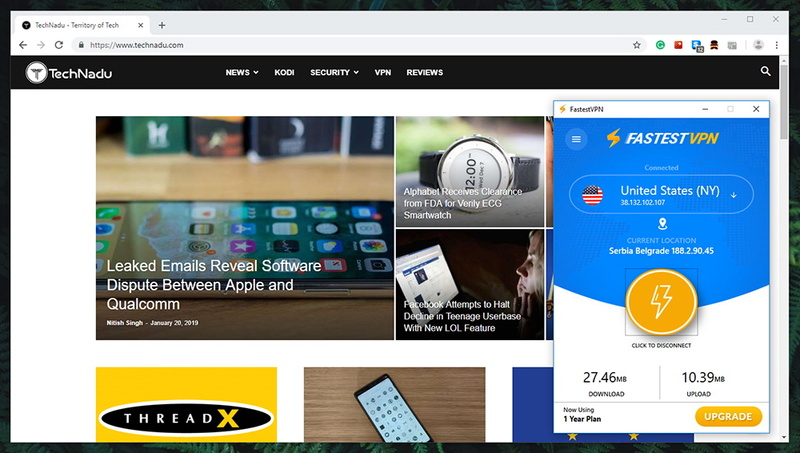 If you prefer to secure your Web browser only, there are freshly released extensions for Chrome and Firefox. However, these are proxies and not fully-featured VPN applications (you won’t find these within Web browser extensions). Therefore, we always recommend going for a native VPN app – and FastestVPN offers plenty of those. Interesting enough, there’s an Amazon FireOS app. You won’t find this one on the Amazon App Store, which means that you need to sideload it. The same applies to a wide range of Android TV boxes. Then, there are platforms such as Linux, Kodi, gaming consoles, and even Apple TV. Even though you’ll see their logos among the supported platforms, you can’t rely on native apps here. Instead, you’ll be redirected to tutorials on how to manually configure different VPN protocols. And in some cases, you’ll be redirected to tutorials on how to install FastestVPN on a router. You can get started with FastestVPN within minutes (if you have a supported device). Download the app from the website, run its installer, and you’re set. Our Score: 10/10. 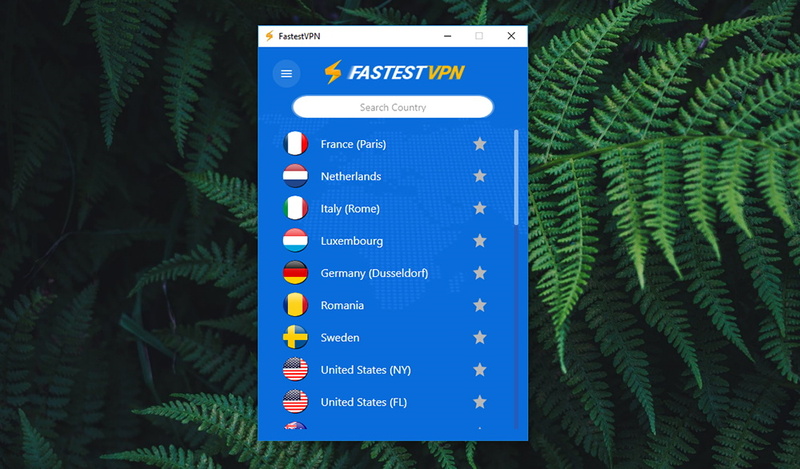 As with any VPN service, you need to start by signing up for FastestVPN. With an active subscription in your hands, you can proceed to download this VPN’s application (based on your preferred operating system). Unlike with other VPNs, there’s no need to log in to your account on the official website. Instead, download the app and you can sign in once the installation is complete. The entire process of installation took only a few seconds on our time. You’ll need to download a file that’s around 5.5MB in size (which in the ZIP file format). Unzip the file, run it, and that’s pretty much it. There are no suspicious options or data collection forms. The entire process is quite easy and very streamlined. Upon the initial launch, FastestVPN will ask for your user credentials. Supply the needed information and you’ll be greeted by its main interface. All in all, a very simplified procedure. 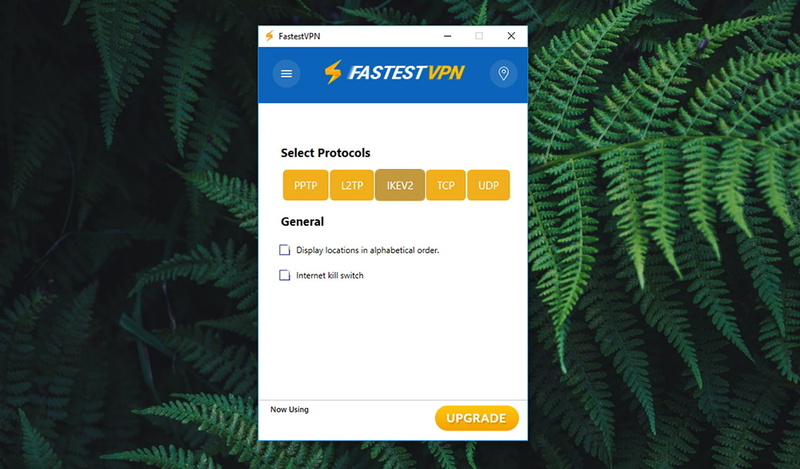 Even though FastestVPN covers the basic features well, it falls short when it comes to more advanced features that could set this VPN apart from the rest. Our Score: 5/10. On the outside, FastestVPN looks like a perfect package. It does have numerous interesting features listed on the website, which we’re about to show you. The following table acts as a comparative point between VPNs that we review, so here’s how FastestVPN meets the following set of criteria. 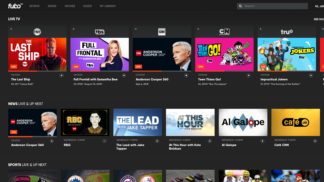 In terms of the basics, FastestVPN is doing a good job. It is protecting you from DNS and IPv6 leaks, and you can use the VPN with no limitations whatsoever. 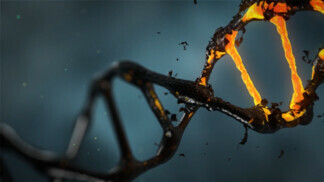 In addition, it even blocks malicious ads and fights against malware. However, it falls short when it comes to more advanced features. 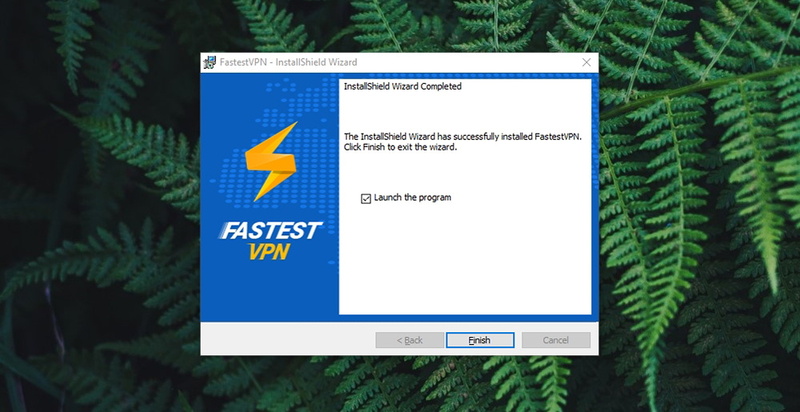 We were surprised to learn that FastestVPN doesn’t have a kill-switch in all of its versions (apps) – only Windows and Android are supported right now. This feature helps you prevent any data leaks if a secure connection becomes unstable. By not having this feature, you need to be very careful about what you do online. For example, let’s say that you’re downloading torrent files on your Mac. 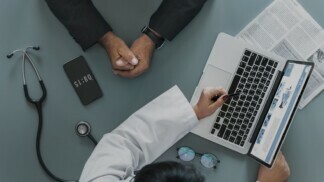 If you disconnect from a secure server, all your data will become visible once again since there’s no kill switch to prevent this kind of data leak. Also, this VPN has no split tunneling. With all of this said, we conclude that FastestVPN is a fairly basic VPN solution. It covers the basics well but will leave more advanced users wanting for more. FastestVPN brings one of the smallest server networks of all the VPNs that we’ve tested so far, with only 50+ units on offer. Our Score: 2/10. When looking for a VPN, you need to pay special attention to its server count. Ideally, you want a VPN with plenty of servers found across the entire planet. This ensures smooth performance even during peak hours. Finding on-point information about FastestVPN’s server count is a tough task. The majority of VPNs proudly state the number of servers they offer, which isn’t the case here. That’s why we have turned to the company’s support team to get our answers. We were told that they have over 50 servers in 23 countries (and 29 locations). Even though we can verify the number of countries, we can’t verify the number of servers. However, we do believe that FastestVPN operates a very small server network. In comparison to top-rated VPNs that have over 5,000 servers, FastestVPN doesn’t seem good. And after testing dozens of VPNs here on TechNadu, we have to say that this VPN brings one of the smallest networks out there. Lastly, it’s important to be said that you can switch between different numbers with no limitations. And also, you’re able to connect to specific cities (in a restricted manner), which is important if you’re planning to unblock services available in specific cities or regions. FastestVPN comes with a fully-usable UI. However, there are plenty of inconsistencies and the UI can be sometimes not as responsive. Our Score: 3/10. When you install the software, you will be greeted by its ‘Welcome Screen’, which allows you to sign in using your credentials. After supplying the needed information, you’ll finally get to see its Home Screen from where you can connect to different servers and therefore secure your Web connection. At the top of the Home Screen, there’s a recommended server which should be in close proximity to your geographical location. If you click on it, a list of servers will appear and you can select one by double-clicking on it – which will automatically connect you to that server The rest of the Home Screen shows a ‘Disconnect’ button and some basic stats like how much data you’ve downloaded and uploaded. You can dive deeper into the application by clicking on the hamburger button, in the top left corner. This allows you to alter some options, check out additional information about the application, and more. So, let’s quickly go over everything found here. Home: The first item, called ‘Home’, is simply a shortcut to the previously explained Home Screen. If you ever get lost within the application’s interface, you can use this item to return to the default view. Locations: This item allows you to check the list of available servers, search the list manually, and make some locations your ‘favorites’. Double-clicking on any of these will connect you automatically. Settings: When it comes to settings, you’ll find some very basic options here. You can select from several available VPN protocols, enable the application’s kill switch (if you have a version that supports it) and that’s pretty much it. Account: Next, we have the ‘Account’ tab where you can review your favorite applications, log out of your account and get help. 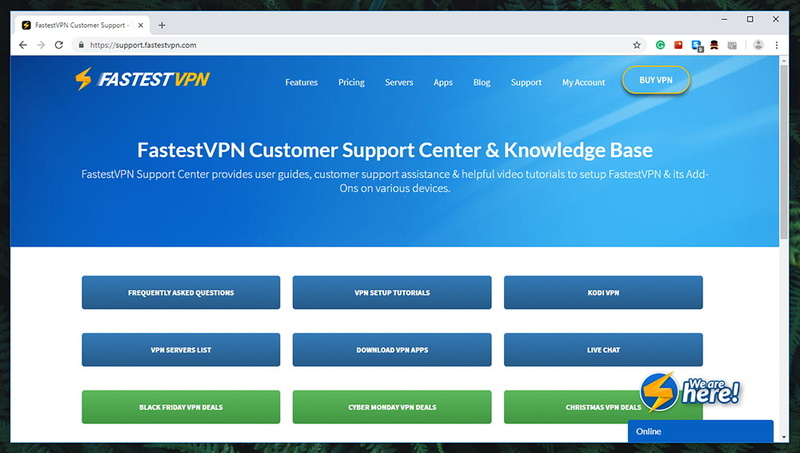 FAQ: This tab is a shortcut to the company’s website where you can see a list of frequently asked questions about how to install and use FastestVPN. Share, Upgrade, About Us: The final three tabs are self-explanatory. You can share your excitement about FastestVPN on social media, upgrade your subscription plan, and read a few paragraphs about the company behind this product. So, is FastestVPN’s UI usable? Yes, it is – but it comes with plenty of inconsistencies, duplicate items, and it is quite slow at times. The application is barebones in terms of features and servers, so you can access the same option from several different places. This creates an image of a far more capable application that FastestVPN actually is, at least for the moment. We’d also like to highlight the fact that the application is sluggish at times. Sometimes it works with no problems, or you’ll have to wait 2-3 seconds for some options to open. This kind of unpredictability should not be associated with any premium priced software. FastestVPN isn’t capable of unblocking Netflix or Hulu, and you need to use OpenConnect to unblock BBC iPlayer and Prime Video. Also, it supports P2P file transfer. Our Score: 4/10. Media streaming support is an important aspect of any VPN service. After all, many of us are using VPNs to unblock popular streaming services such as Netflix, Hulu, and BBC iPlayer. And this is precisely why we test each VPN with the world’s most popular streaming services. First, we’ve tested FastestVPN’s native application against the world’s most popular streaming websites. Sadly, the app wasn’t up to the task, as it was unable to unlock all four of the services mentioned in the table above. 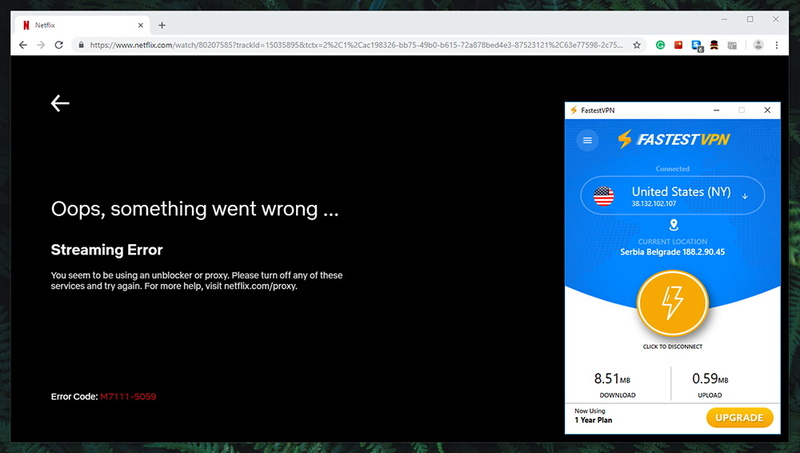 However, this is when we found out that you need to use SSL/OpenConnect to unblock BBC iPlayer and Amazon Prime Video. Upon installing OpenConnect GUI on our Windows 10 PC, and digging to find the information about the correct SSL server address from the UK and USA – we were able to stream videos from BBC iPlayer and Amazon Prime Video. So, there is a way to unblock those 2 services. However, you’ll need to go through another layer of manual configuration, which does complicate things a little bit. Another good piece of news here is that FastestVPN supports torrenting. To get the best possible speeds, we recommend connecting to a nearby server. Highly remote servers will provide you with foreign IP addresses but they’ll also throttle the speed of your connection quite a bit. Based on our research and tests, FastestVPN is able to protect your true information – and it produces no data leaks either. Our Score: 10/10. No matter what kinds of bells and whistles are there, VPNs don’t matter much if they can’t keep you safe online. This is why we give special attention to this segment, as we try to uncover the truth regarding three different aspects – encryption protocols, logging policy, and DNS leaks. So, here’s what you need to know. FastestVPN is designed to keep your data secure by using 256-bit AES (Advanced Encryption Standard) protocol. This is believed to be the strongest VPN protocol right now and practically uncrackable. On top of encryption, FastestVPN also relies on several VPN protocols. These are PPTP, L2TP, IKEv2, and there’s OpenVPN (UDP/TCP). Among the supported protocols, we recommend you to use OpenVPN as this one brings just the right combination of security and performance. Other protocols might bring faster performance but all of them come with more or less severe vulnerabilities. Lastly, we also want to make sure if FastestVPN isn’t producing any alarming data leaks. 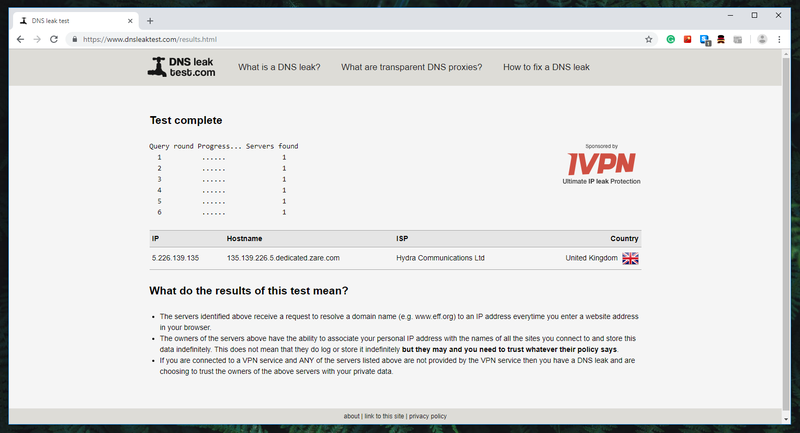 This is done by connecting to a secure connection by using this VPN and running a DNS leak test that detects problematic behavior. We are happy to say that FastestVPN isn’t producing any leaks. The websites that you visit will see you ‘virtual’ IP address, which cannot be traced back to our ‘true’ physical location. Therefore, we conclude that in terms of security, FastestVPN is doing its job well. FastestVPN brings a somewhat satisfactory performance, but still throttles your Web connection up to around 38%. Our Score: 7/10. 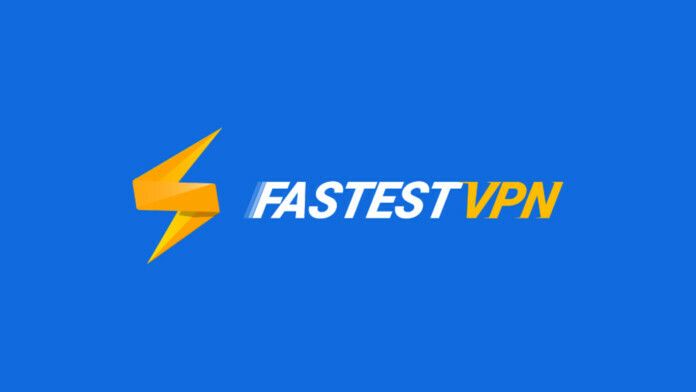 We’re sure that you’re interested in knowing how fast this VPN performs. To reveal that information, we’ve checked several secure servers and tested their speeds. So, here are the results. The performance of our ‘naked’ connection. 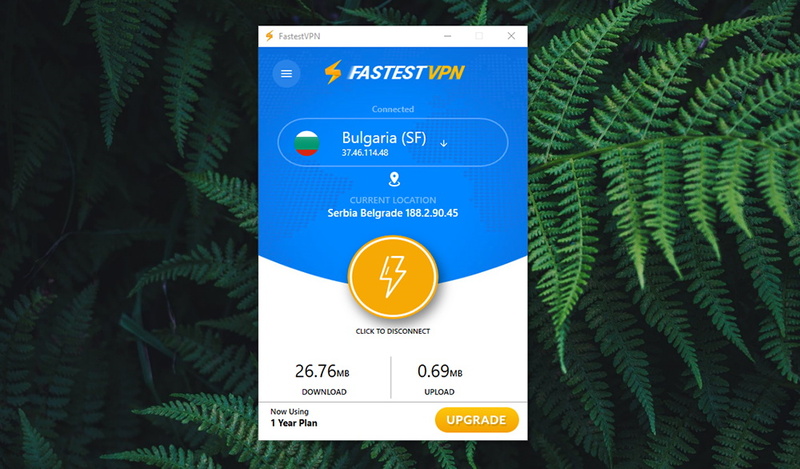 We start out by checking the speed of our Web connection – without a VPN involved. This provides us with baseline data that we use to calculate by how much FastestVPN throttles our Web connection. When it comes to our ‘naked’ speed, we got 121.49 Mbps for downloads and 9.77 Mbps for uploads. Then, we proceed to connect to a nearby server, which should provide optimal performance. By connecting to a server that’s in a neighboring country, we should get relatively good speeds. So, we got 89.26 Mbps for downloads and 9.31 Mbps for uploads. Not bad at all. 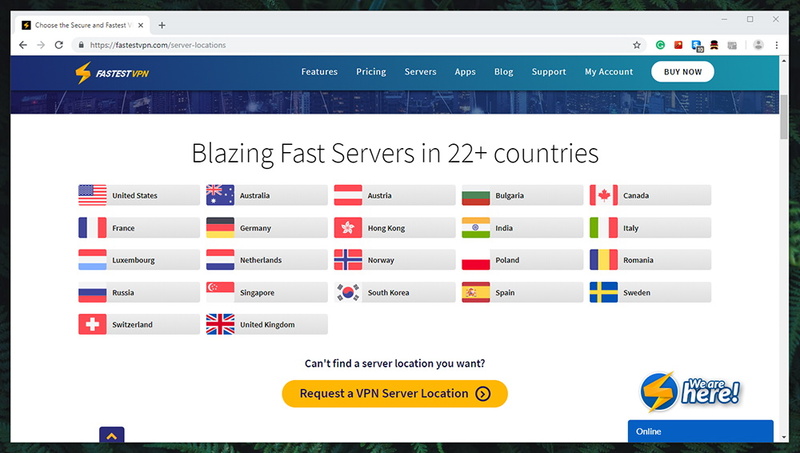 Lastly, we’ve connected to a secure VPN server in the USA – as this is often the most popular location among VPN users. We’ve expected speed to deteriorate further and that’s exactly what happened. We got 59.99 Mbps for downloads and 8.72 Mbps for uploads. Now, to put everything in perspective, we’ll put all these numbers into a table. We can say that FastestVPN throttled our Web connection by 38.5% on average. This is a relatively good result. However, there are also VPNs with faster speeds as well, which is crucial when it comes to downloading and streaming. There are numerous support channels – but many of them are less than helpful. The company’s live-chat can sometimes be a frustrating experience. Our Score: 5/10. Without having someone to rely on, using a VPN can become a hectic experience. These are technical solutions, so sometimes can go wrong with no clear explanation. That’s why you need a VPN that has your back when you need it the most. We’ve checked FastestVPN’s support, so here are the customer support channels that you can use. Live-Chat Support: This VPN offers live-chat support on its website. You can launch this option from just about any page, and someone is always waiting for you. However, we have to say that this experience was somewhat frustrating. As said earlier, we weren’t able to run this VPN on our desktop PC with no integrated graphics (we have a dedicated GPU). The support agent we talked with told us to delete our Nvidia driver and ‘maybe try installing Intel driver’. It was like talking to a friend who might think there’s a solution but isn’t sure how exactly to help. 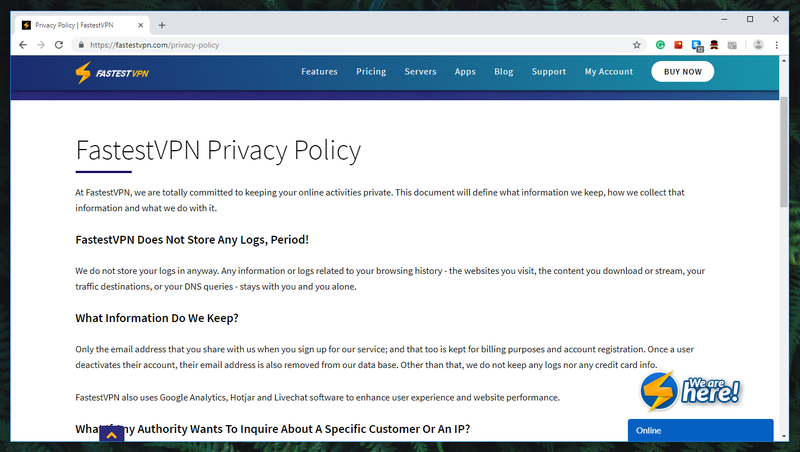 FAQs: A section with frequently asked questions is there to help you clear some doubts, especially about installing and using this VPN on a certain set of platforms. Setup Tutorials: You’ll be happy to know that there are detailed guides (plagued by grammar errors) that teach you how to install this VPN on a wide range of systems. For the most part, they can be helpful. Email Support: Lastly, you can always send an email to this company and open an official support ticket. FastestVPN’s one-month plan is quite expensive. 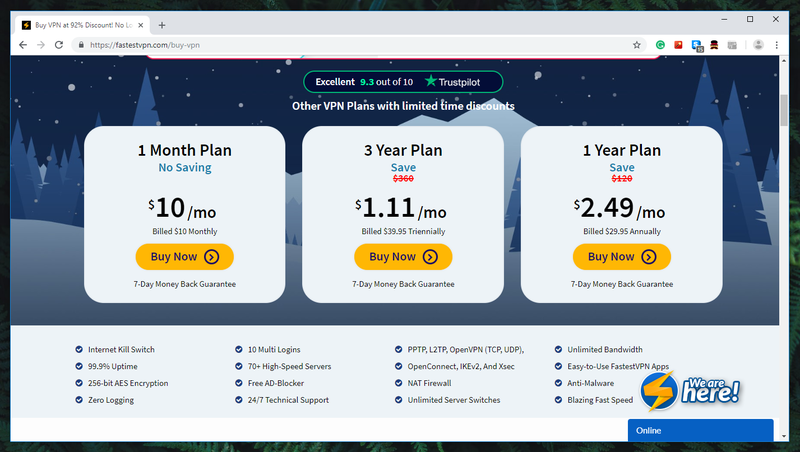 However, incredibly steep discounts can get you this VPN for only $0.83 per month! Our Score: 10/10. FastestVPN comes with a series of subscription plans, where some of them offer attractive savings. The best way to understand what you’re getting is by looking at the table found below. We have to say that FastestVPN’s one-month plan seems quite expensive, for what it offers. However, if we skip this subscription plan, we see unbelievably steep discounts. For example, buying a one-year subscription will cost you only $2.49, which is definitely more affordable than what other VPNs offers. And if you go for its even ‘lengthier’ plans, you can buy FastestVPN for only $0.83 per month. This is the lowest price of any VPNs we’ve seen so far. It’s also worth noting that there’s a 7-day money-back guarantee and you can pay with your PayPal, credit card, eWallet services, BlueSnap, and in many other ways. Unfortunately, there’s no way to pay with Bitcoin, so your transaction can’t be 100% anonymous. 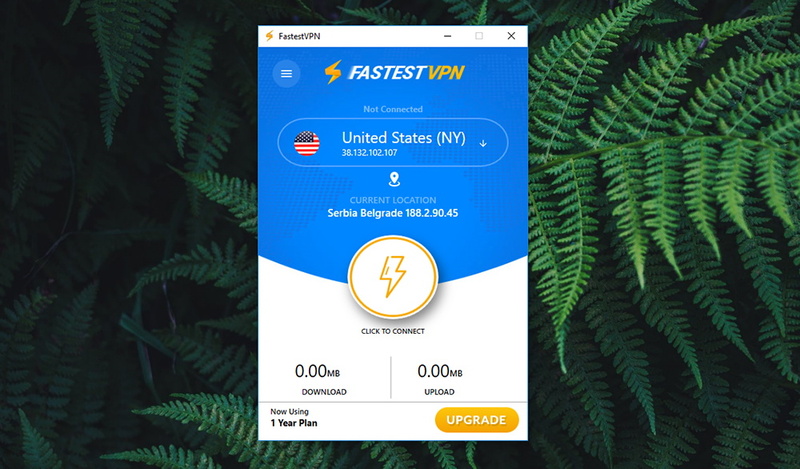 FastestVPN is not a typical VPN service. First of all, this isn’t the right choice for those who want to unblock media streaming services like Netflix and Hulu. However, this might be the perfect choice for those who simply want to secure their Web browsing. It doesn’t collect your data, provides reliable performance, and it can be quite affordable. All in all, this VPN isn’t for everyone – but it serves its target group quite well. PROS: No data collection; No data leaks; Supports torrenting; Reliable performance; Quite affordable. CONS: Somewhat problematic UI; Small server count; Can’t unblock Netflix and Hulu. Once again, we recommend FastestVPN to average VPN users who don’t need all the bells and whistles. If your only goal is to secure your Web browsing and go anonymous online, don’t hesitate and subscribe to FastestVPN right now! Finally, we would like to ask you to share this article online. And to stay on top of the latest tech news, don’t forget to follow us on Facebook and Twitter. Thanks! FastestVPN is not the perfect choice for everyone. If you simply want to browse the Web without thinking if someone tracks what you online, this is your go-to tool. However, users who want plenty of servers and media streaming should try their luck elsewhere.